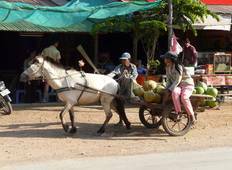 Find the right tour for you through Kampot. 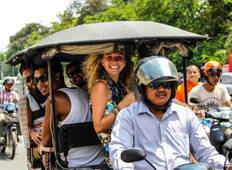 We've got 35 tours going to Kampot, starting from just 4 days in length, and the longest tour is 57 days. The most popular month to go is July, which has the most number of tour departures. "Loved the tour and Seyha was a great tour leader - very helpful, informative, and..."
"Great trip. In 14 days we saw some much of Cambodia and it's people. A great combination..."
"Having come to the end of my first Intro Travel trip and the first venture into Cambodia..."
"Kimhoun is an excellent guide and did everything possible to make our holiday perfect!" "This is my first tour and I absolutely loved it, it was an amazing trip with such..."